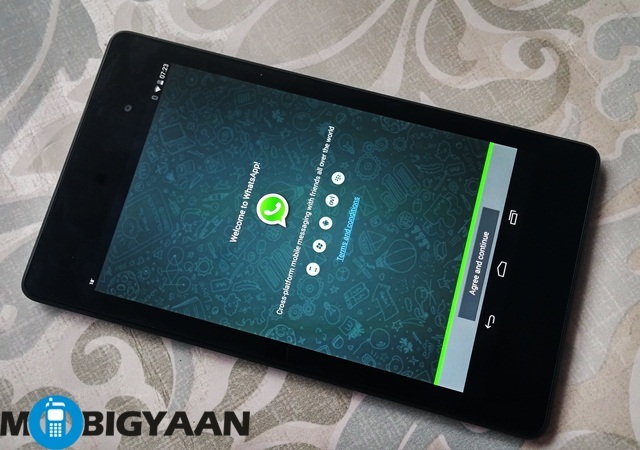 WhatsApp may be the best thing that has ever happened to messaging, but it has sadly kept tablets out of the loop. 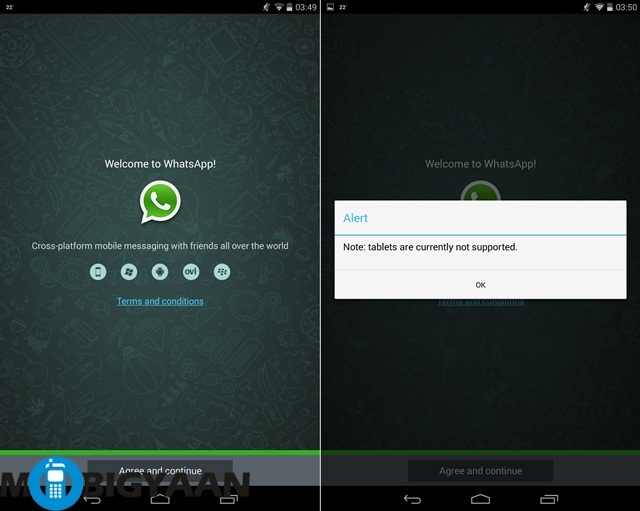 But just because they can’t get it, doesn’t mean that tablet users don’t desire WhatsApp access. In fact, many tablet users would find it easier to type and share from a tab instead of smartphone, obviously because of the screen size and the keyboard. While you can do this by rooting your tablet, but who wants to go through the hassle of going through that, with the added risk of bricking your device? WhatsApp access can be pretty cool. 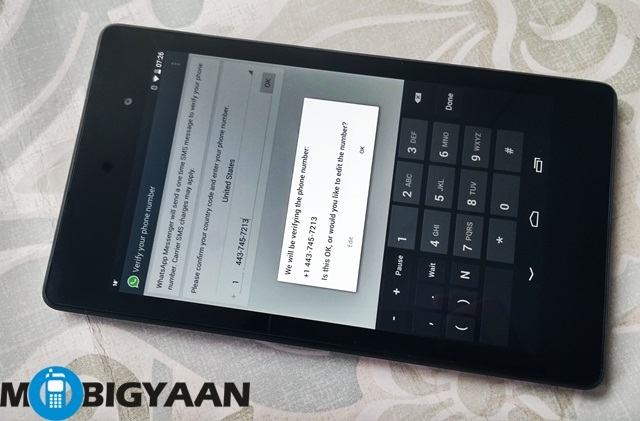 Say, a user doesn’t want the hassle of switching from his basic phone to a smartphone – voila! he will have access via his tab or if you don’t want your professional phone to be clogged with WhatsApp updates, how about looking everything up on your tab when you have time? Here’s our how to guide on the subject .We have divided it into two parts – firstly, if you want to run it using your phone number and secondly, if you want to have separate WhatsApp access on tablet and phone. 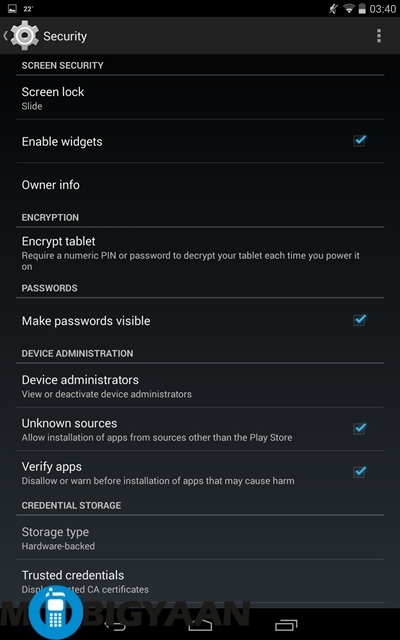 Firstly, you need to download this APK file on your tablet. Once you have downloaded this file, go to Settings -> Security -> Unknown sources. Click the box next to it to enable it. 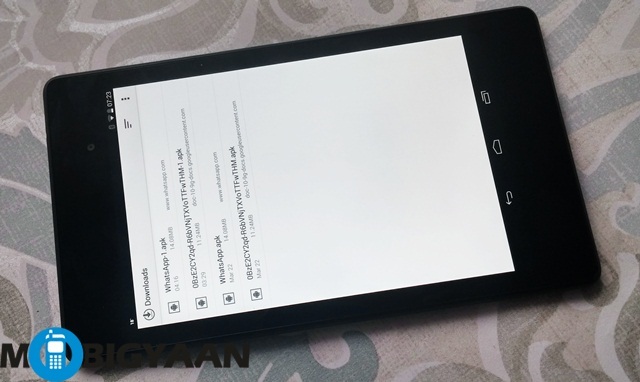 Now, go to Downloads and click on the APK file. 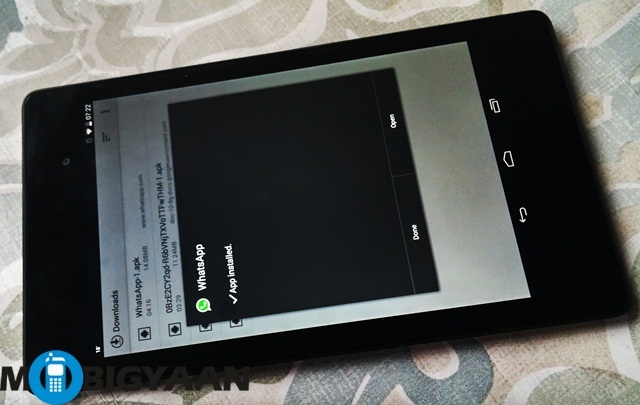 A box will pop up asking you whether you want to install WhatsApp on your device. Click on Next. Keep clicking till it asks you to install. Click on install. 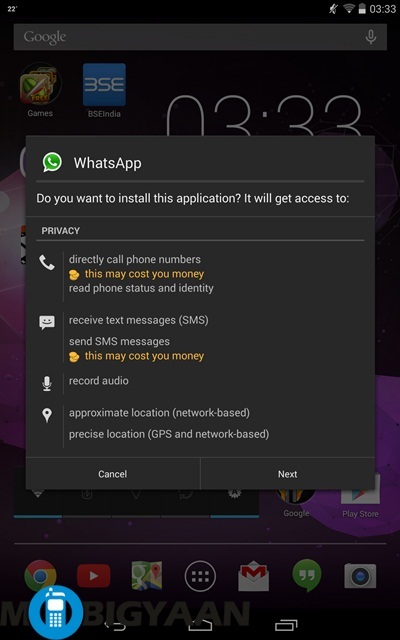 Once the app is installed, click on open – the WhatsApp terms and conditions page will open up. Click on Agree and continue. An alert will pop up, stating that tablets are not currently supported. Don’t despair, just click on OK.
WhatsApp will now ask you to download the latest update. Download it. 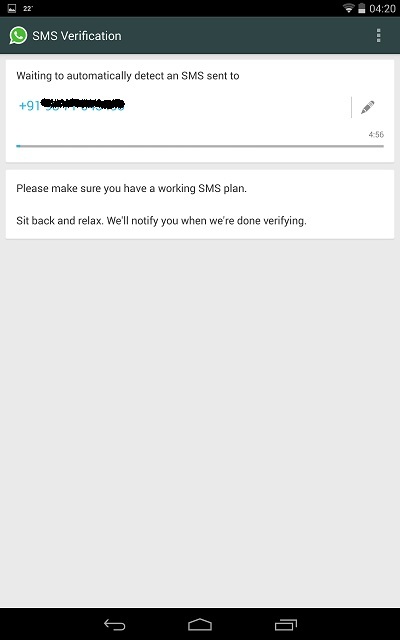 A file called WhatsApp-1.apk will start downloading. It will ask if you want to install this update, click install. 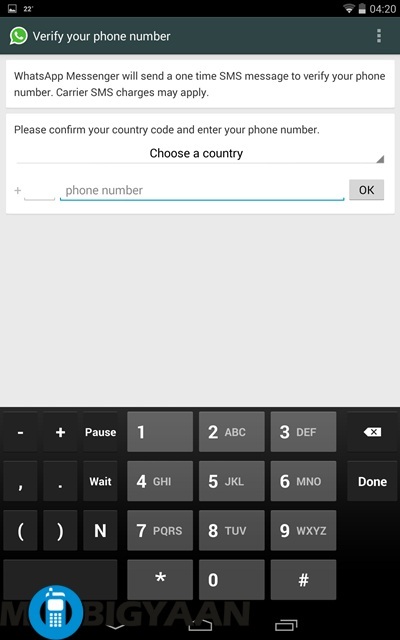 Now comes the tricky part, after once again mentioning that tablets are not supported, it will ask you for your phone number and choose your country, just like you would on a smartphone. 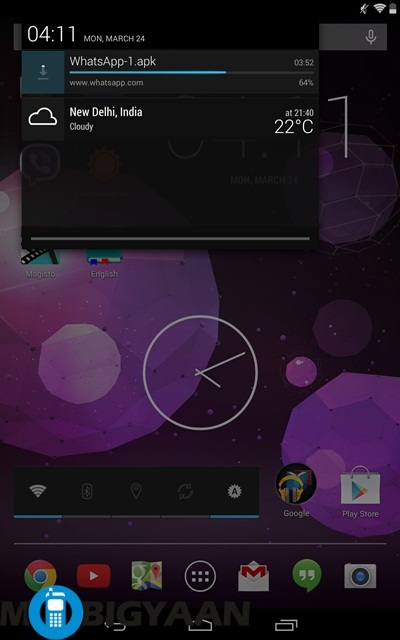 It will try to automatically detect the SMS. Since you actually won’t have your SIM in the tab, it won’t. All you need to do right now is wait the full 5 minutes it takes to do so. It will now state that SMS verification has failed. Don’t panic. Instead, click on call me. 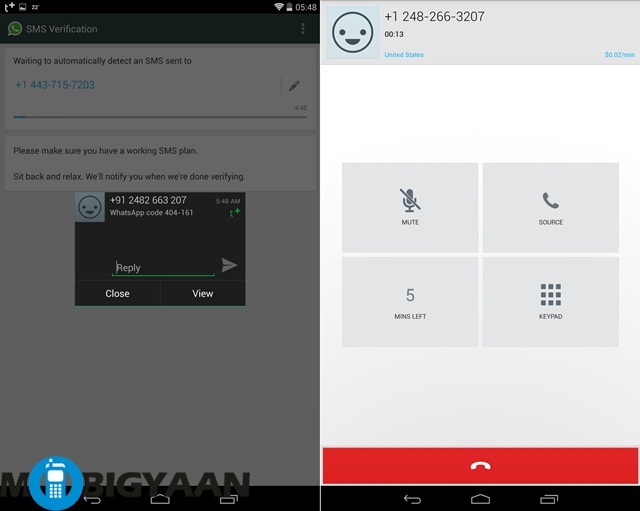 You will receive a call from WhatsApp servers. All you have to do now is punch in the verification code, they tell you over the call. Voila! 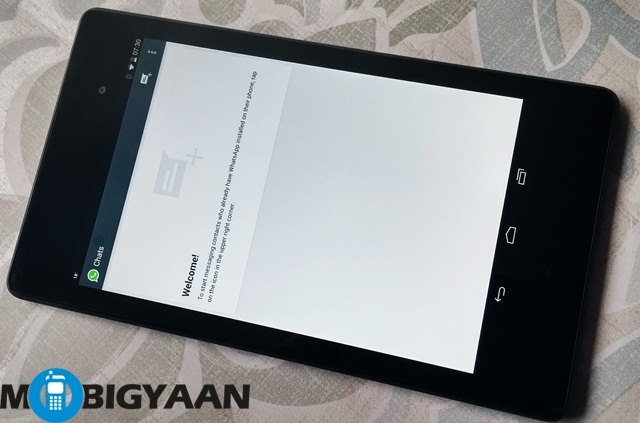 WhatsApp has now been activated on your tablet. Now click on Next. A WhatsApp screen will pop up. Click on continue. 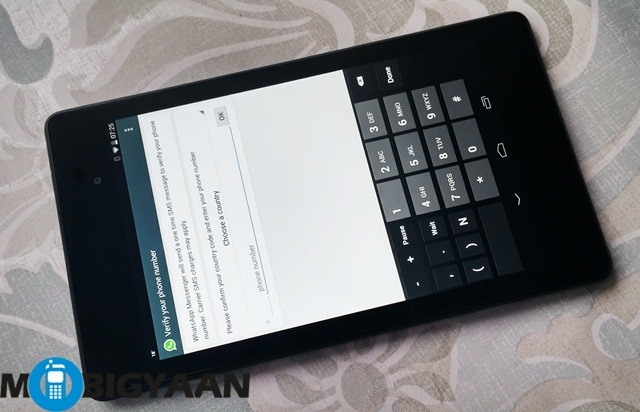 WhatsApp is now active on your tablet. Please note: Once you have activated WhatsApp from your tab this way, you will no longer be able to access it from your smartphone. 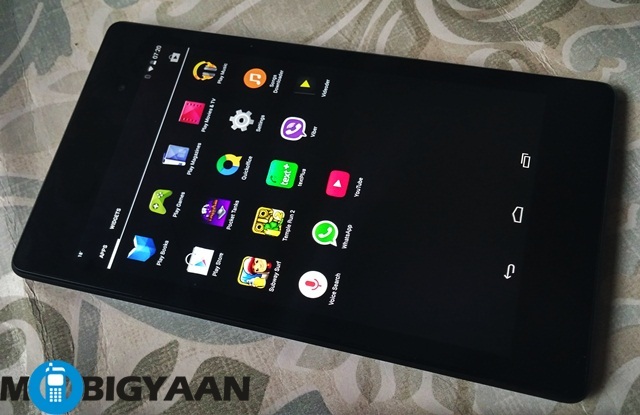 While all your WhatsApp groups will be available on the tab, you will have to uninstall it from your smartphone. While the above way will give you WhatsApp access on your tab, it will cut it off from your smartphone. What if you don’t want to do that and yet want to have access on the tab, making it the best of both worlds? It is possible to do so! There is well an alternative way to do so. 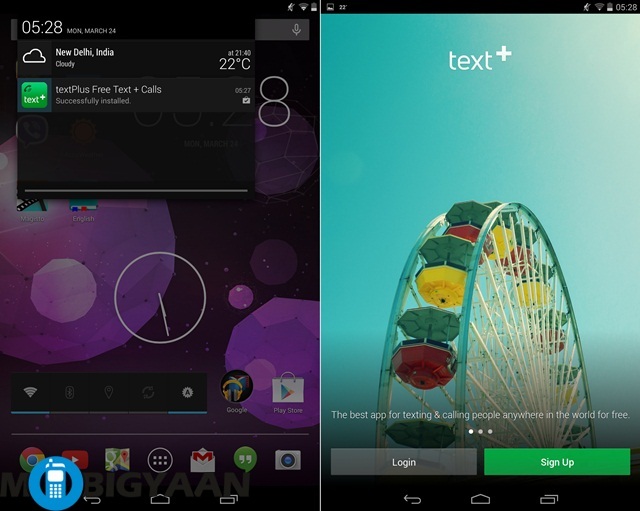 Here’s our how to guide on getting separate WhatsApp access on both phone and tab. 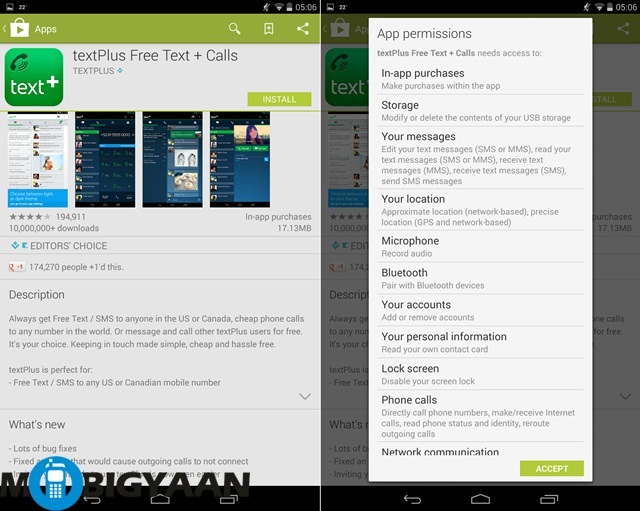 First off, download and install the textPlus Free Text + Calls app on your tablet. If you are already registered on the app click on login. Otherwise, you need to sign up using your regular number and verifying it via SMS. A four digit code will be sent to your number and textPlus will be activated. Fill in the essentials and click on next. Now, Go to settings-> Contact info and find your Personal textPlus number. Note it down. 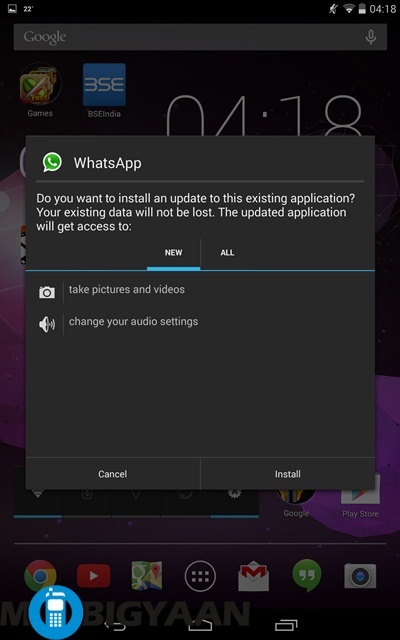 Download the APK file and install WhatsApp just like it is suggested above. When it asks for your phone number, put in your textPlus number. 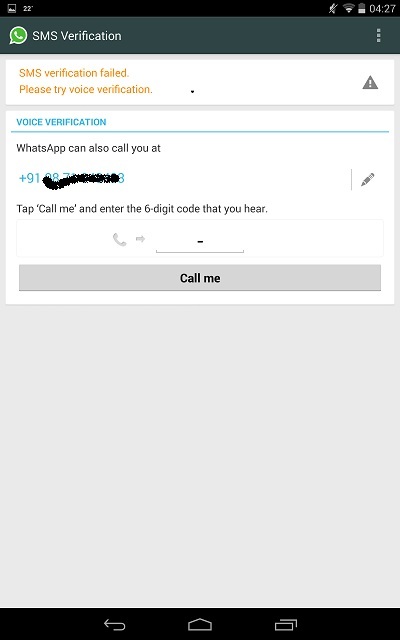 You will now receive your WhatsApp code on the textPlus app. Ignore this code. 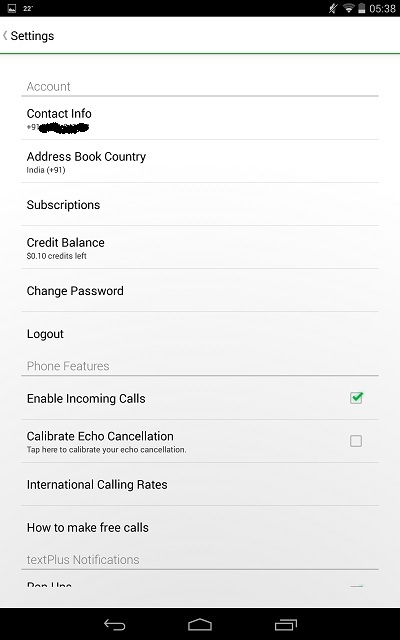 The app will not be able to automatically access it though and ask you to receive a voice call with a different WhatsApp code. Put it in and you are ready to WhatsApp. 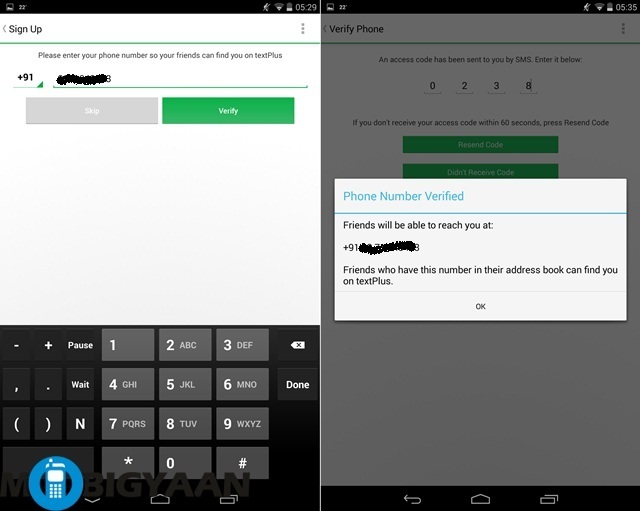 Please Note: You will be using WhatsApp via a phony number generated by the textPlus app. This is not your actual number although you can use it the same way you would use your regular WhatsApp number.